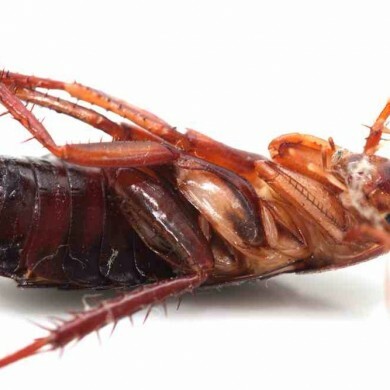 Cockroaches are a real threat to any business through health risks and legal requirement to deal with them both pro and re- actively, particularly in catering or food storage facilities. Quite simply no cockroaches means, no ruined food, no health risk and no risk of legal enforcement or closure of the establishment and business. The cockroach is a crawling insect of the order Dictyoptera. There are two main species of Cockroach present in the UK which are the German Cockroach (Blattella germanica) and the slightly larger Oriental Cockroach (Blatta orientalis) both are completely different in their mannerisms, habitat requirements and biology, they differ again with their breeding cycle, therefore different treatment methods are applicable to each. Who can be affected by cockroaches? Cockroaches can breed and spread rapidly in the correct conditions, heated buildings or kitchens are ideal areas, this combined with bad housekeeping is usually a contributory factor in the onset of most Cockroach infestations. 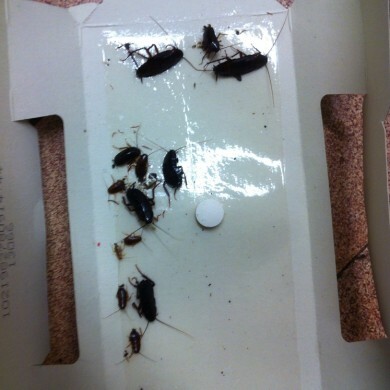 Hotels, laundries, food outlets, bakeries and multi-occupation dwellings are all high risk areas associated with cockroaches. 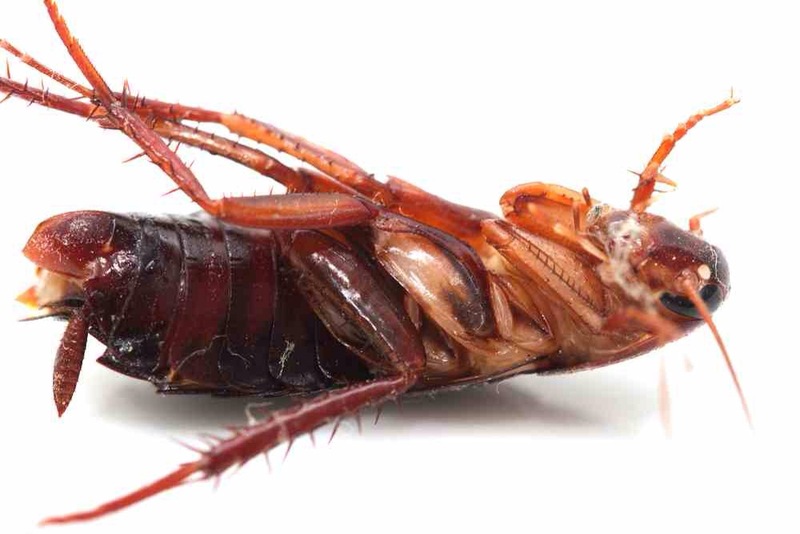 If you have a Cockroach Infestation or suspect a presence it is better to consult a professional company rather than attempt to treat it yourself. What to look for with cockroaches? 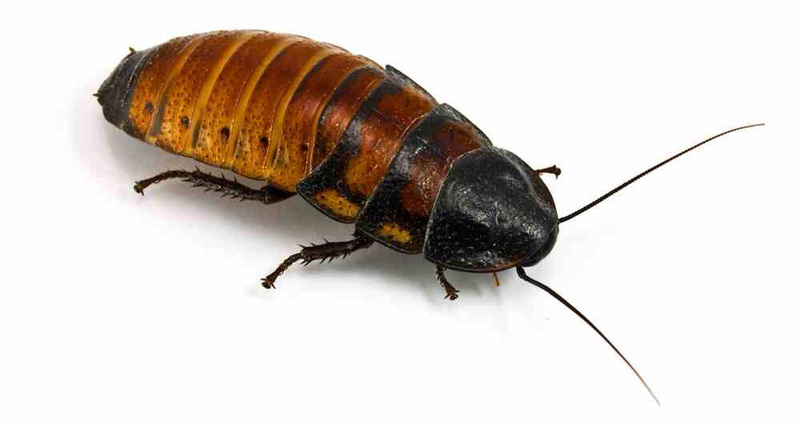 Cockroaches are usually inactive during the day and therefore rarely seen by the unsuspecting client until the infestation has reached epidemic levels. 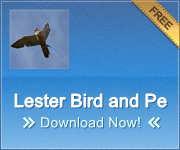 They need a free-water source for drinking and tend to lay dormant and hidden in the vicinity of taps, sinks and drains, only emerging to feed at night when it is dark and quiet. Once the infestation has reached its severity it is more likely to see an active cockroach during the day. 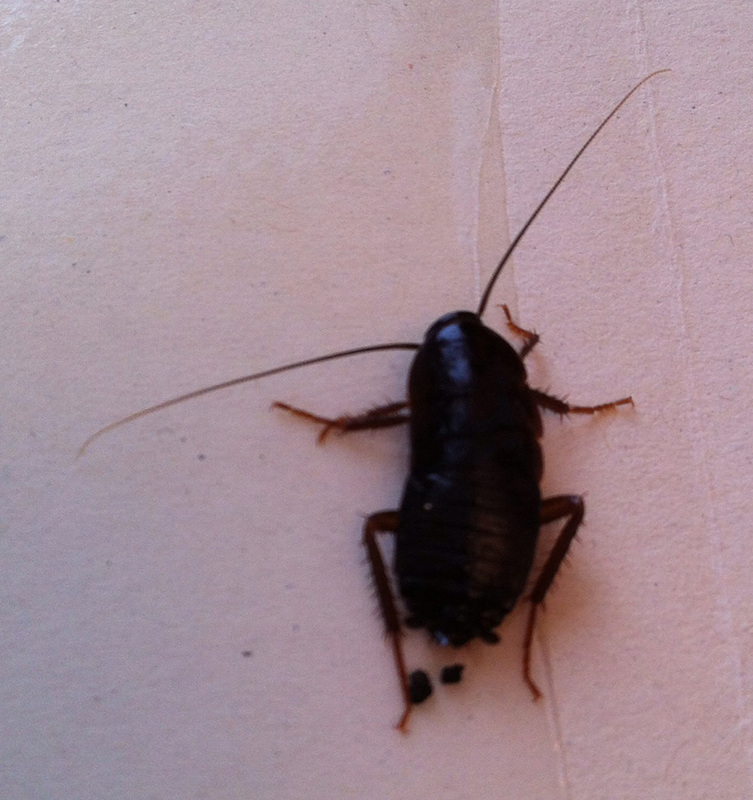 Apart from an obvious sighting, one of the most common signs of a cockroach infestation is the presence of small, dark brown, oval shaped egg casings known as the ootheca, which is the egg sac recently shed by newly hatched cockroaches. 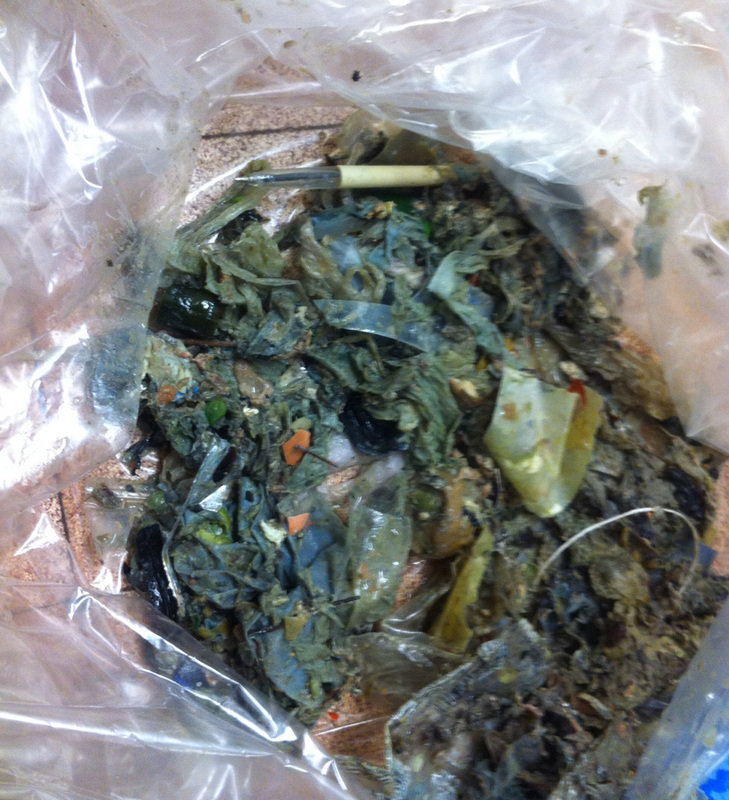 Another sign is specks of faecal matter or regurgitated food. Cockroaches also give off a distinct strong, very oily odour, which usually becomes pungent and noticeable when large numbers of the insects are present. 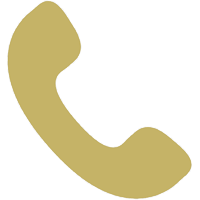 If you suspect cockroaches or have seen any of the signs described above feel, free to contact us immediately. 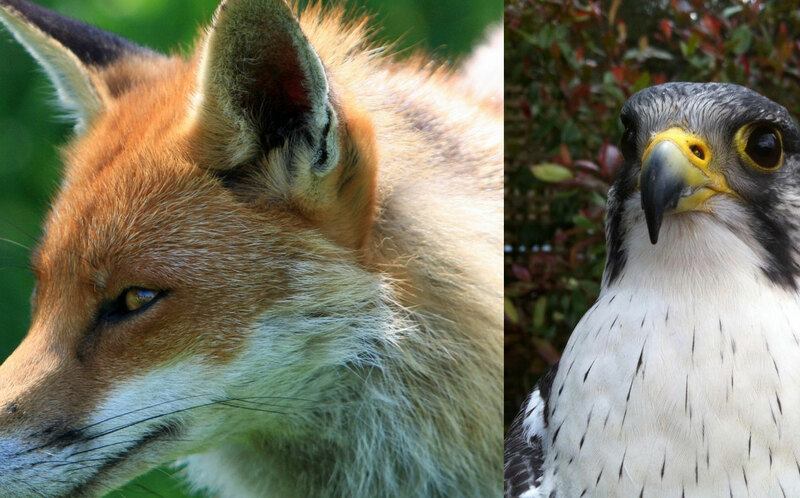 We will set up a monitoring system and use special detection sprays to confirm their presence and level of infestation. As with most insect treatments a thorough and planned approach is essential in the eradication of cockroaches. 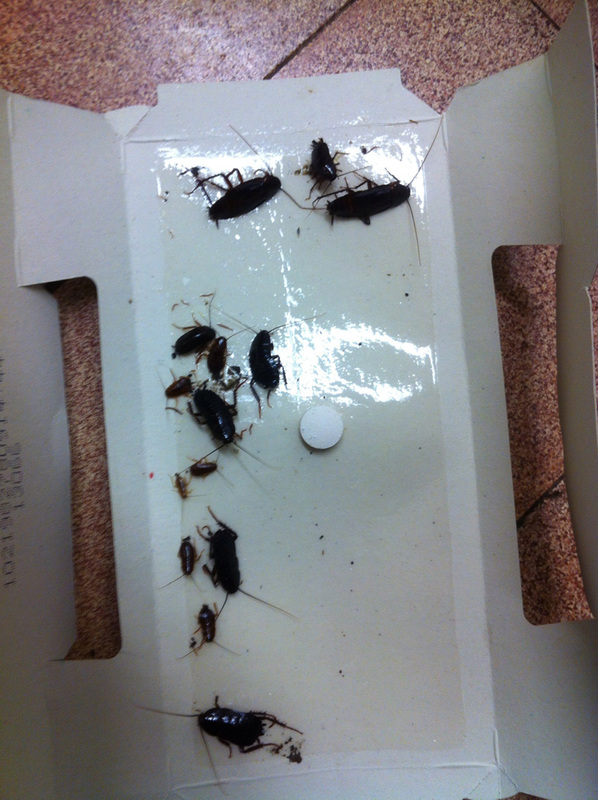 Surveying and monitoring is the primary stage followed by a series of specialist and uniformed baiting to all harbourages and potential areas of infestation or possible cockroach activity. All of our technicians are fully trained and expert in the application of approved cockroach gels, baits and treatments. 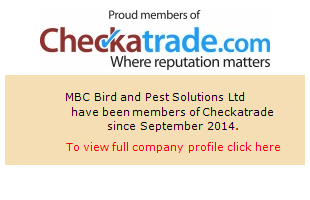 We will carry out a free risk assessment, survey and recommend a suitable solution to remove any cockroach infestation in accordance with BPCA guidelines. 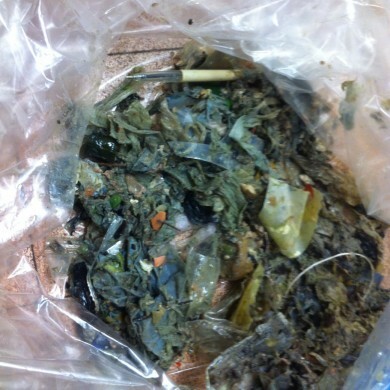 The pictures show the contents of a dirty drain which was infested with Oriental Cockroaches, active Cockroach monitoring and dead Cockroaches.